The Top Six Reasons You Absolutely Must Be At The 2019 Sea. Hear. Now Music Festival Reviewed by Diane DiMemmo on January 22, 2019 . Planning for the second Sea.Hear.Now Festival is now actively underway. A first wave of tickets (pun intended) was recently released and sold out quickly; but not to worry. More tickets are on their way and you’ll want to get them soon! Here are the top 6 reasons (well, maybe more than 6) why you can’t miss this one-of-a-kind music festival. It’s Asbury Park. Need I say more? Danny Clinch: Photographer, Musician, Film Director, and all-around nice guy. Danny Clinch’s photographs of the most iconic musicians in history are legendary, to say the least. He is an active member of the Tangiers Blues Band and has created music videos, commercials, and short films. And he is also the brainchild behind the festival, along with C3 Presents (producers of Lollapalooza, Austin City Limits, and Voodoo Festivals, to name a few). 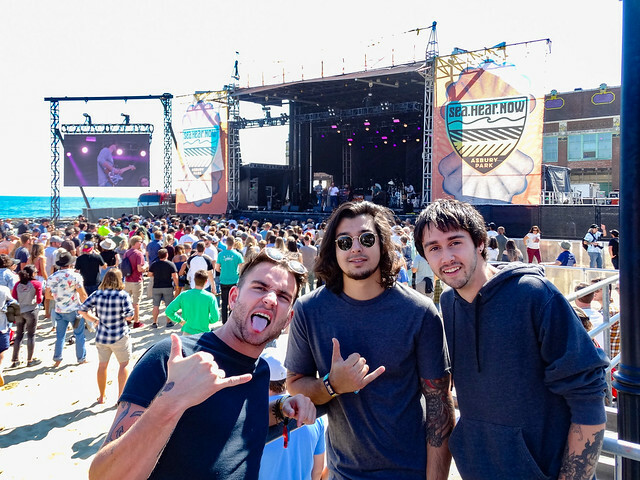 His goal with last year’s inaugural festival was to have “musicians who surf,” a variety of bands that would appeal to different generations, and musicians who are connected to each other and New Jersey. The success of last year’s event was a testament to the fact that he hit the nail on the head in providing concertgoers with a memorable festival experience. 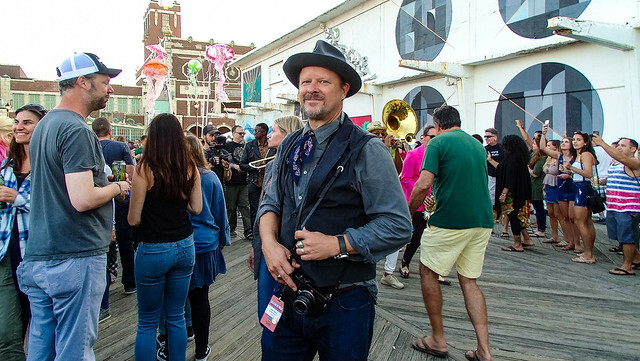 Danny Clinch’s Transparent Gallery sits on the corner of Kingsley and 5th in the heart of Asbury Park. If you’ve never gone, well, you just have to go. It’s a gorgeous piece of glass architecture that shelters Clinch’s iconic photographs and beautiful mid-century furniture, while regularly hosting music performances and poetry readings. At the festival, there is a “Pop-Up Transparent Gallery” that displays the artwork of the festival musicians. They gather there to discuss their art and play music in between sets. It’s another unique element that allows fans to interact with their favorite musicians in a new way. 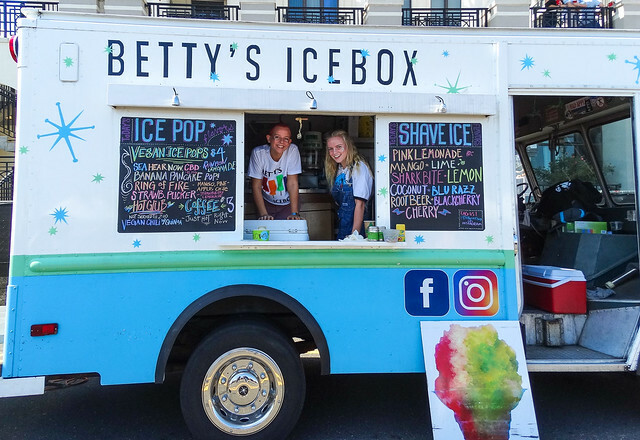 Dozens upon dozens of food trucks and beverage choices give festival attendees plenty of delicious options for food and drink. Clinch’s attention to detail can even be seen in his selection of vendors, many who hail from the Jersey Shore area, and who provide a nice selection for those with different dietary needs. We all know that a music lineup is the centerpiece of every festival, and Sea.Hear.Now gave us an incredible group last year. 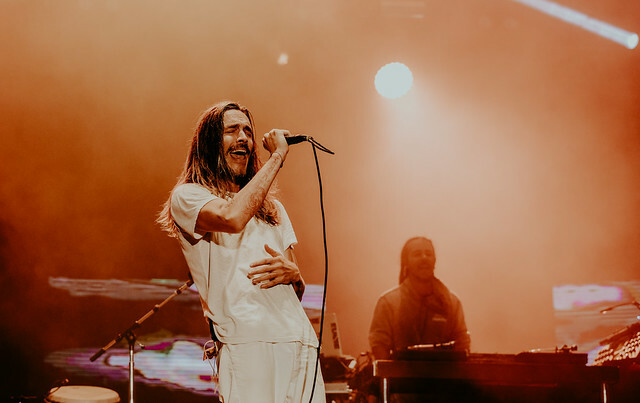 Incubus, Jack Johnson, Brandi Carlile, Blondie, Social Distortion (joined by Bruce Springsteen), Frank Turner, Soja, and Kaleo were only a few of the 25+ musicians that graced the Sea, Sand & Park Stages. When I researched all of the bands last year for my review, I was amazed at the number of connections between all of these musicians! Many recorded, produced or performed together in the past. Several got their breaks from collaborations with a fellow Sea.Hear.Now musician. All were connected with New Jersey, surfing, art or Danny Clinch in one way or another. How can they possibly do it again? 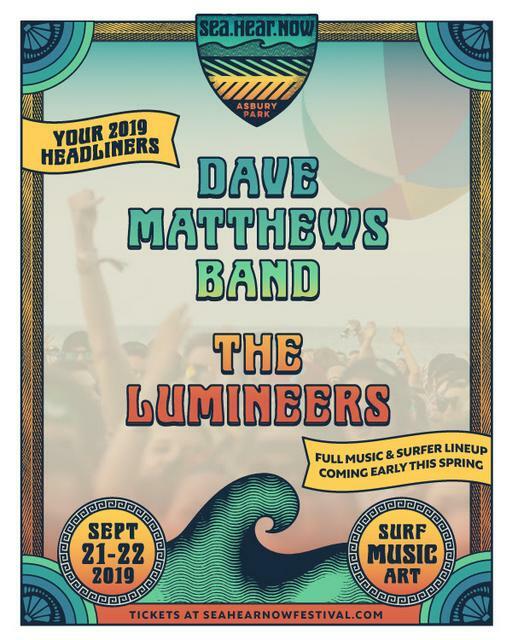 How about announcing the Dave Matthews Band and The Lumineers as the headliners for 2019! It’s an incredible announcement that has piqued my excitement for who the other bands may be. 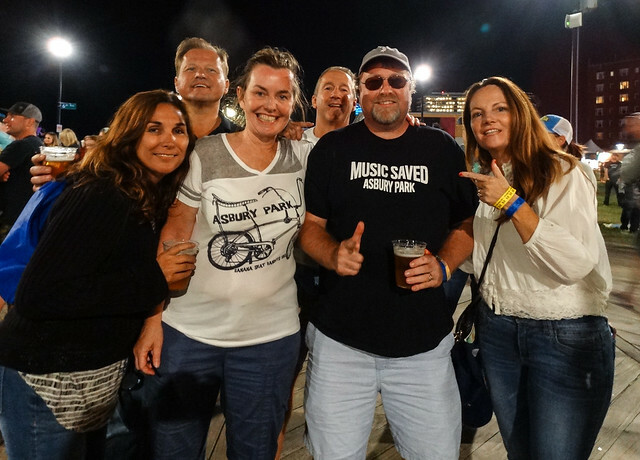 Here’s hoping also that many of the same Asbury Park and NJ musicians will be included again this year, as they are a big part of the “Music Saved Asbury Park” equation! Attending special pop-up concerts after festival hours at The Stone Pony, The Wonder Bar, The House of Independents, or The Saint? You never know who might show up for those gigs! Dining at any of the 50+ first-class eateries throughout Asbury? 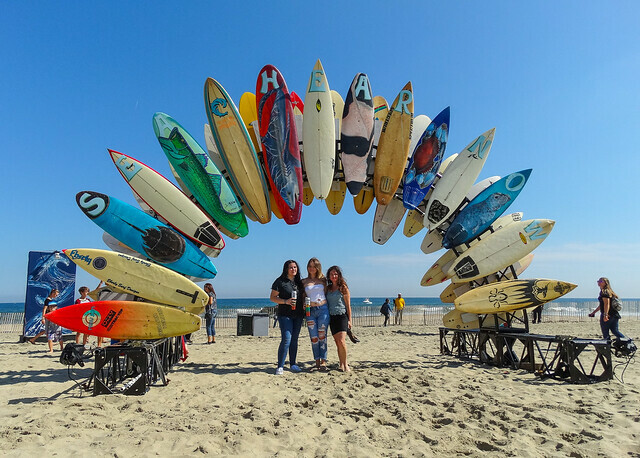 Getting involved with Sea.Hear.Now’s partnership with The Surfrider Foundation which creates ways to make the festival more sustainable and raise awareness for the health of the ocean. Learning about the Asbury Park Music Foundation and how music really did save Asbury Park!